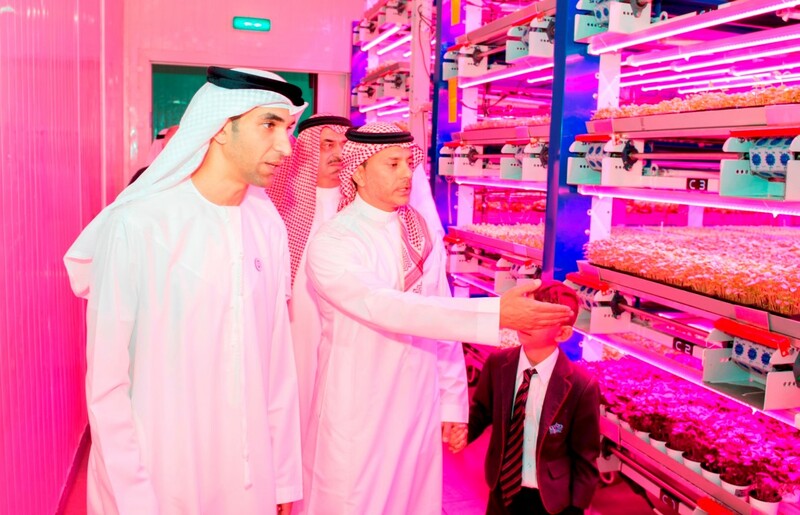 DUBAI, 4th March, 2018 (WAM) -- Dr. Thani bin Ahmed Al Zeyoudi, Minister of Climate Change and Environment, has officially inaugurated Badia Farms, the GCC’s first commercial vertical farm, which will enhance crop production and lowers their costs. He toured the farm and explored the latest hydroponic technology and vertical farming techniques. 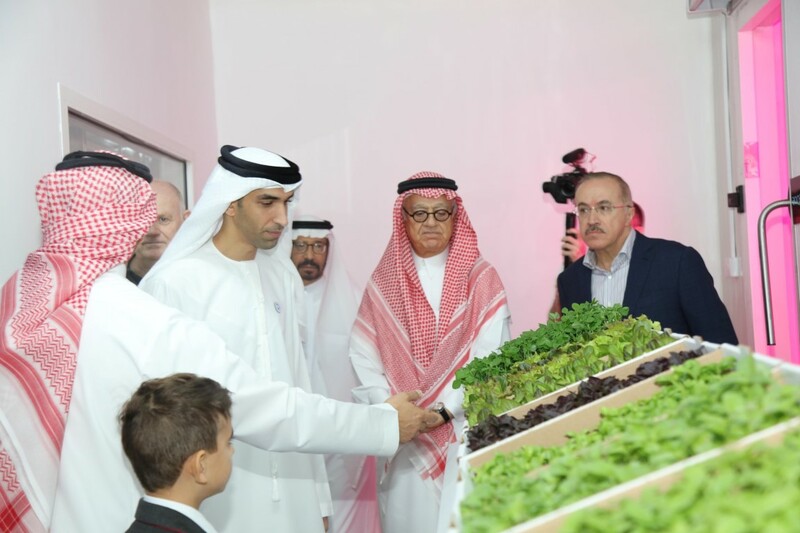 Applauding the work at the farms, Dr. Al Zeyoudi said, "Badia Farms is an exceptional example of how the UAE’s agricultural industry can thrive while protecting our environment for future generations. The initiative reflects the nation’s commitment to becoming more sustainable and helps us achieve our goal of food security." He added that the farm’s agricultural concept is aligned with the UAE Vision 2021 to work towards a sustainable future and reduce water usage. He further indicated that supporting innovations and latest technologies that enable the agricultural industry to adapt to climate change and ensure food security is one of the main outcomes of the fifth edition of the World Government Summit 2017. "Sustaining food diversity relies heavily on innovation and the employment of cutting-edge technologies. The Ministry supports all efforts in this field and works on enhancing its ties with the private sector to explore potential investment opportunities," said Al Zeyoudi. He pointed out that hydroponic technology will be a major contributor to agricultural sustainability and food diversity and security, as it enhances crops production and lowers their cost. This is evident in the successful production achieved by Badia Farms in a very short time since its inception in December 2017. "We commend the successful endeavour of Badia Farms, which reaffirms the UAE’s position as a leading incubator for innovation," he added. 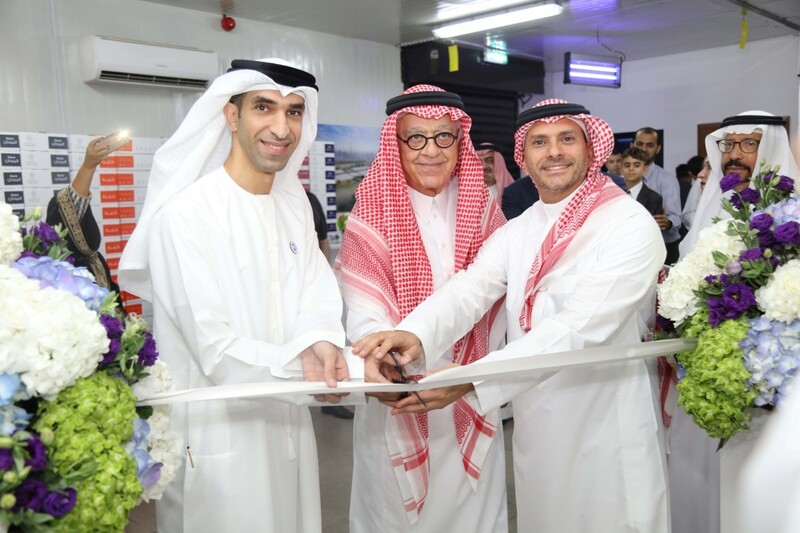 Omar Al Jundi, founder and Chief Executive Officer at Badia Farms, said, "We set up Badia Farms in the UAE with a vision to provide a sustainable solution for food and to reduce the region’s reliance on imports. Growing crops in the region has always been a challenge due to the hostile climate, and this is where Badia Farms offers a viable solution. Not only can we grow the freshest greens, with no pesticides or chemicals, but we actually do this in the most eco-friendly way possible, using minimal recycled water. This is our way to give back to the UAE and start the new wave of farming in Dubai - the home of innovation." The farm began production in December 2017 with ambitious plans to pioneer the region’s "green revolution" with innovative agri-tech methods that optimise growing conditions within a controlled indoor environment. 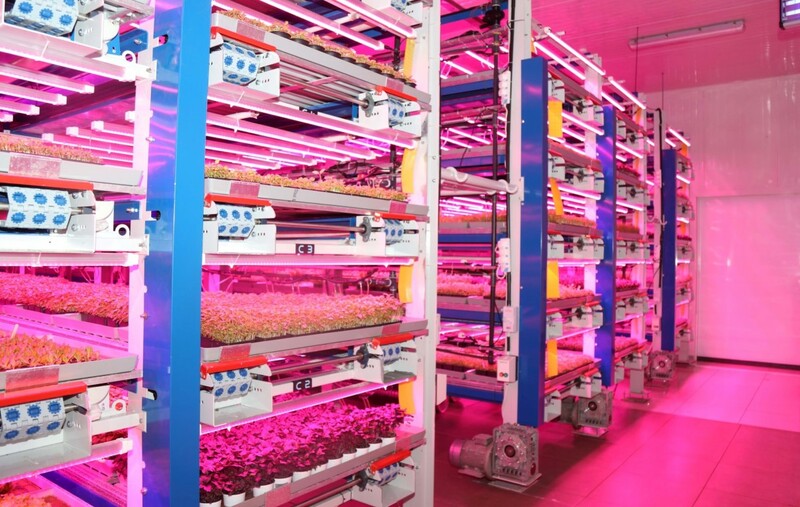 Using the latest hydroponic technology and vertical farming techniques, the farm produces nutritious and pesticide-free leafy greens without the need for sunlight, soil or chemicals. The eco-system created by Badia Farms uses 90 percent less water than open field farming and recycles the water it uses. The farm also combats the carbon footprint of food imports that typically travel an average of 3,000 miles to reach restaurants in Dubai. The farm produces an extensive range of lettuces, micro-greens, baby leaf herb varieties.